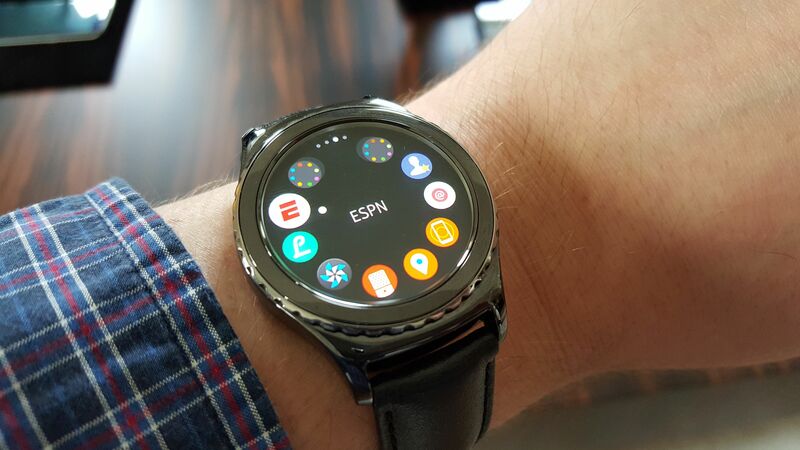 We exclusively reported last week that the Gear S2 would get multiple new features with an upcoming software update. We also previewed the new softwarealong with all the new features and UX improvements. 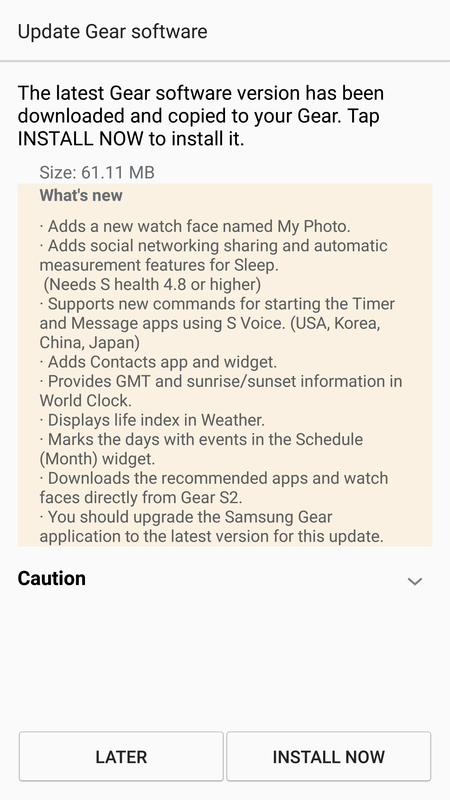 Samsung has now started pushing the update to the Gear S2 and you should be receiving it shortly. 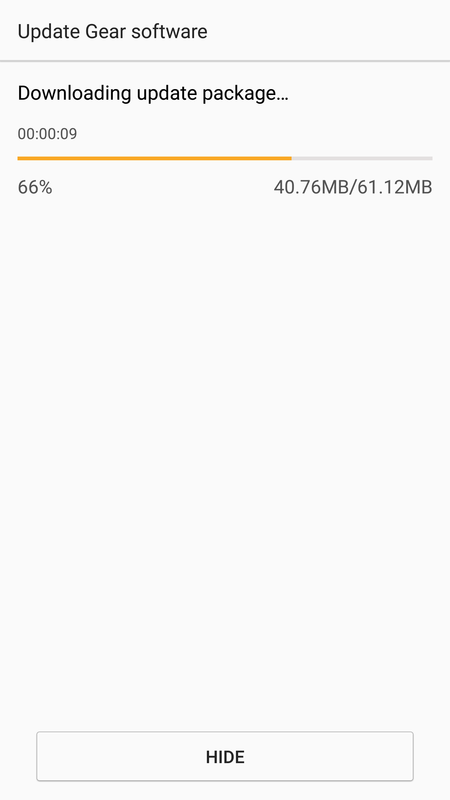 The software update has a file size of 61.1MB and firmware versionR732XXU2DPFB (for the Gear S2 classic) or R730XXU2DPFB (for the Gear S2 Sport). It brings My Photo watch face, social sharing for activities, automatic sleep tracking, new S Voice commands, a new contacts app and widget, and other new features to the smartwatch.